Yelp was founded in 2004 and is an online review system for local businesses. It provides customers with a way to share a rating, content and pictures for places ranging from restaurants to medical professionals. With the rise of the on-demand economy, many tech companies are also getting listed on Yelp and getting rated for the services they provide. Yelp does give businesses the opportunity to respond to reviews and the replied are displayed publicly for everyone to see. 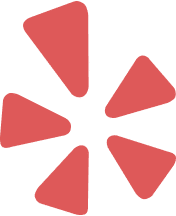 ReviewBot will monitor Yelp for you and notify you when you get a new review by posting it in one of the integrations that we provide, which make it a great setting for collaboration. The status reports will give you an idea if one branch of your business needs extra attention and also the ability to reward high performing locations.